The Association does not take any responsibility for the accuracy of the descriptions of products shown below. National Brood boxes for sale. 2 No. Western Red Cedar new national brood boxes with metal frame runners. Front and back lug ends are double walled as shown in photo. 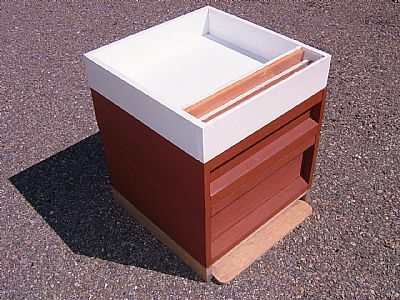 As a result of Ken MacKenzie downsizing his beekeeping activities, still has Ashforth-type feeders available. Contact Ken on 01349 861504. 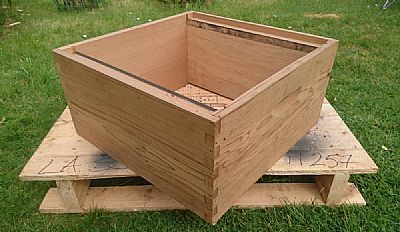 The design consists of eight interlocking parts that go around the Brood and Super Boxes, a frame which goes between the Brood and Crown Board and a lid which sits on the Crown Board (see attached images). Click on "foam jacket". Also available in black. The "Jacket" is made from a Low Density Polyethylene (LDPE) and can be fully recycled.The "Jacket" is easily assembled, reusable and removeable plus is UV stable. The costs for the National "Jacket" is £33.00 per set (+ VAT) plus P&P. We can offer your society a discount to £30.00 (+ VAT) plus P&P. If you ordered in multiples of 50 sets we can reduce cost further to £27.50 set (+ VAT) (this includes delivery) Orders can be placed here. Parts can be ordered separately if needed. Ken MacKenzie would like to purchase your old beeswax. A better-than Thornes price is offered. Contact him on 01349 861504. 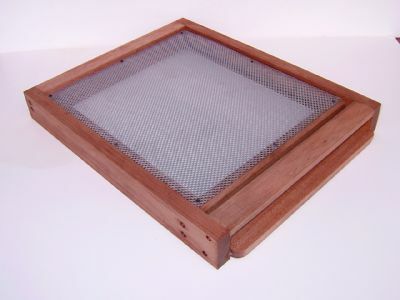 Available in Langstroth, National or Smith sizes supplied with a monitoring tray. 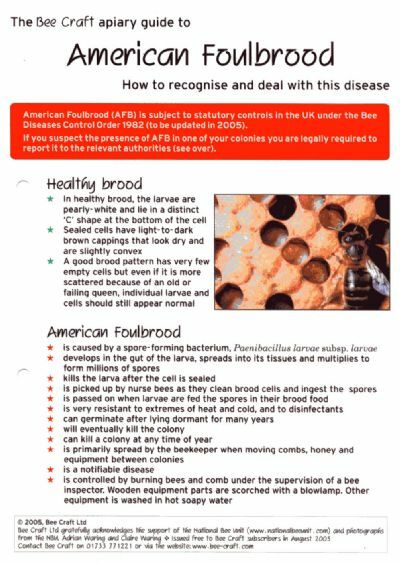 Handy, laminated reference for use at the hives and easy cleaning. An A5 sized booklet produced for what was thought to be the 60th Anniversary of the Group consisting of extracts from the Minute Book, list of Office Bearers, Disease and Season Reports. Also contains pen pictures of past Advisors, Margaret Logan and Bernhard Mobus.